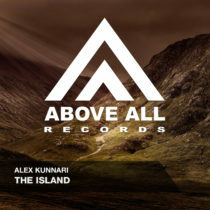 The resume of Alex Kunnari is very impressive with worldwide hits and gigs around the globe. We are very happy and proud to release his new track “The Island” which is another killer-track from the studio of this Finnish DJ who had the honour to host his own weekly Colors club night in the prestigious Es Paradis, Ibiza. The STA Remix adds some Tech-Trance power to this release and STA shows that after his massive ASOT support for “Enigma” he is on the hunt for more!